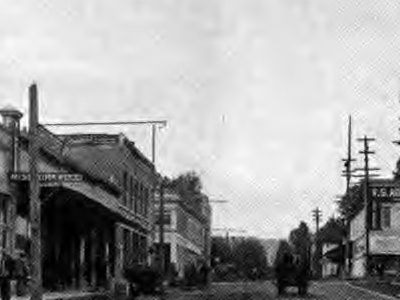 Forest Grove is a city in Washington County, Oregon, United States, 25 miles (40 km) west of Portland. 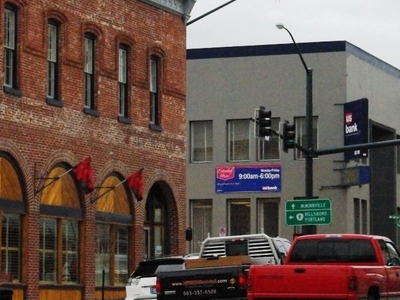 Originally a small farm town, it is now primarily a bedroom suburb of Portland. Settled in the 1840s, the town was platted in 1850 and then incorporated in 1872 and was the first city in Washington County. The population was 21,083 at the 2010 census, an increase of 19.1% from the 2000 census (17,708). Located in the Tualatin Valley, Oregon routes 8, and 47 pass through Forest Grove with 47 and 8 signed as the Tualatin Valley Highway south and east of the main part of the city, respectively, Oregon Route 8 signed as Gales Creek Road west of the city, and Oregon Route 47 signed as the Nehalem Highway north of the city. Pacific University has been the most distinctive aspect of the town throughout its history. Old College Hall on campus is listed on the National Register of Historic Places along with nine other structures in the city. Local employers include the university as well as Tuality Forest Grove Hospital and Viasystems. Here's the our members favorite photos of "Cities in Oregon". Upload your photo of Forest Grove!